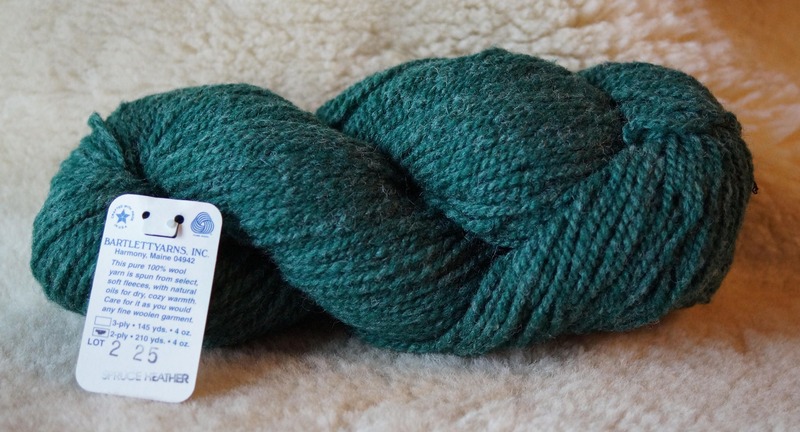 Spruce Heather 2 ply wool yarn from Bartlettyarns in Maine. Made in the USA. Gauge is 5 sts/inch on size 7 or 8 needles.